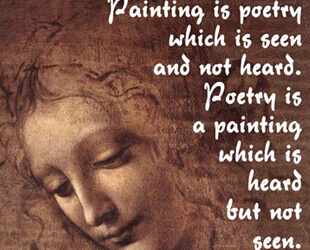 Leonardo, the great genius and "Renaissance man", has many famous quotes. 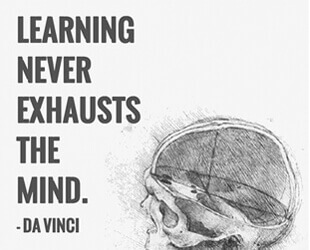 As a man of virtue and humility, Leonardo Da Vinci was not just an artist and scientist. "Tears come from the heart and not from the brain." "I have been impressed with the urgency of doing. Knowing is not enough, we must apply. Being willing is not enough, we must do." "Science is the captain, and practice is the soldier." "Iron rusts from disuse and water loses its purity from stagnation. Also the inaction saps the vigor out of the mind." 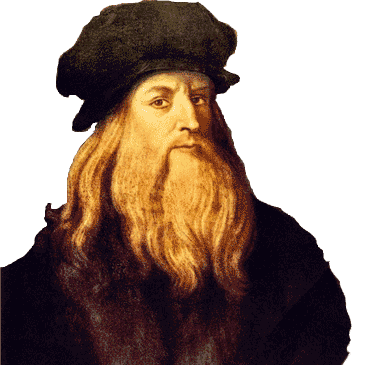 Leonardo da Vinci was considered a master painter in his time, and his ability to create amazing works of art led to the making of certain collections that were highly sought and respected in the artistic and scientific circles. Renaissance paintings are the masterpieces that marked the life of Leonardo da Vinci, as an outstanding fine artist. These paintings brought him fame and the title of a "Renaissance man," along with his many skills and vast knowledge. The images of "Mona Lisa" and "The Last Supper" are the great examples of ideal High Renaissance art. Influenced by Leonardo painting the "The Last Supper," many painters created astonishing works of art, leaving Leonardo's and their own mark on the entire Renaissance period. Sketches or drawings made by Leonardo are each specific and unique, as they cover vast areas of various sciences and are often followed by written explanations. Many of the drawings made by Leonardo were planned to be published as manuals or encyclopedias, but for some reason, Leonardo never managed to publish them during his lifetime. One of the most famous drawings by Leonardo is the famous "Vitruvian Man", which illustrates the ideal proportions of a man placed in a circle and a square and explaining how the man is used as the principal measurement in architecture. Also, there are many illustrations of his inventions, like the giant crossbow, parachute, automobile, tank, flying machines, multi-barreled guns and the first ever illustration of the fetus in utero. There are many anatomical illustrations of various parts of the human body with written description about their functioning that could have emphasized the development of medicine if they were published. The true nature and value of these anatomical sketches was not seen until the 20th century. Portraits were an area in which Leonardo was very skilled. He was able to represent a certain person in a completely new light, by setting up his or her looks to seem more "Renaissance", vibrant, youthful and mysterious. Leonardo often used personal recognition in commissioned portraits, like adding an element that would be related to the name of a person. 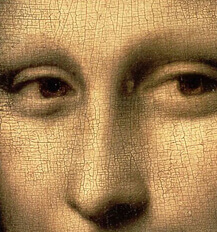 One of the portraits that still carries this spirit of discussion is the "Mona Lisa." Without anything symbolic in the painting or on the subject, onlookers concentrate on her mysterious smile, the main focal point of the piece. Some other great portraits include the Duke of Milan's mistress, "The Lady with the Ermine" and "Portrait of the musician" which represents a musician from Milan's Cathedral. Also, Leonardo's self-portrait made as a sketch is a great illustration of how this great "Renaissance man" really appeared in person. Christian art lead Leonardo to fame as an artist. Since biblical scenes were a poplar subject in demand at that time, Leonardo attracted the attention of the highest influence in Renaissance Italy, the church. The portrait of "Saint John the Baptist" illustrated the heavenly way of enlightenment through baptism, while many images of the Virgin Mary, also known as Madonna, interpreted the life of young Jesus with his mother watching over him. The Virgin Mary is illustrated in "The Virgin and Child with Saint Anne", "Madonna of Yarnwinder", "Madonna Litta" and many others. The sight of Angel Gabriel in "Annunciation" is another great example of how Leonardo depicted Christian scenes in a Renaissance fashion, by showing the heavenly look of an angel through modesty and small symbolic wings.